ZIMBABWE – A Zanu-PF Politburo member has dismissed the planned coalition between the various MDC formations and the so-called People First movement, saying the revolutionary party will never be dislodged from power by surrogates of imperialist forces. 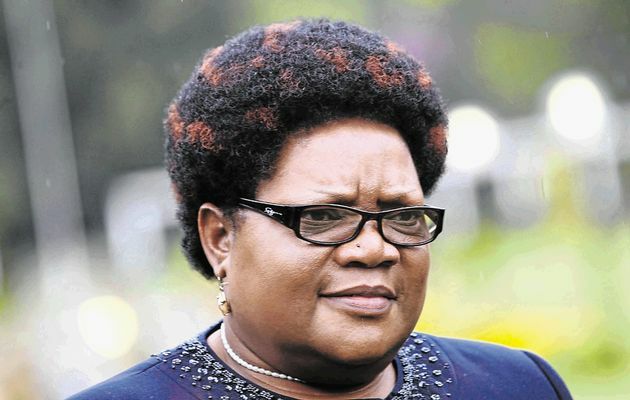 Zanu-PF Secretary for Youth Affairs Cde Pupurai Togarepi yesterday said that the proposed coalition between the MDC formations led by Mr Morgan Tsvangirai and the People First project believed to be fronted by expelled and former Vice President Dr Joice Mujuru was not a threat to the indomitable ruling party that will win any election in Zimbabwe. Cde Togarepi’s comments come in the wake of reports that the MDC formations were holding talks with the People First movement to form a coalition that will challenge Zanu-PF in the next general elections. Addressing hundreds of Zanu-PF youths and senior officials from across Masvingo province during belated 21st February Movement celebrations, Cde Togarepi said Western nations were wasting their money by investing in failed politicians. He said Zanu-PF will never lose sleep as both the MDC formations and the People First project lacked the political gravitas and clarity to eclipse the ruling party. “Let the imperialists continue to fund the MDC formations and we now even hear that there are plans to unite the so-called People First and the MDC formations, but I want to tell you that Zanu PF will continue to thump them in any future elections,’’ he said. Cde Togarepi said MDC-T leader Mr Tsvangirai was “a useless politician” who posed no threat following several electoral defeats at the hands of President Mugabe and Zanu-PF. He said as long as Zanu-PF remained united, the revolutionary party was poised to continue with its unchallenged dominance of the Zimbabwean political scene. Cde Togarepi warned senior ruling party officials against sowing seeds of discord within the ruling party, adding that ruling party youths would do everything to defend the revolution. “There are some amongst us who are bent on sowing discord and divisions in Zanu-PF because they thrive in chaotic situations, but as youths we want to warn such people that we will soon take them head on,’’ he said. Cde Togarepi said President represented the wishes of both the fallen and living heroes, hence deserved continuous support from all Zimbabweans. He said the Youth League was concerned by the continued abuse of social media by some ruling party officials to fire brick-bats at their perceived rivals. “There is urgent need for the senior party leadership to once and for all deal with the problem of the continued abuse of WhatsApp and Twitter by some senior party officials to attack one another and discuss party issues,” said Cde Togarepi. Cde Togarepi paid tribute to First Lady and Zanu-PF Secretary for Women’s Affairs Dr Amai Grace Mugabe for blazing the trail in confronting the “Gamatox” elements in Zanu-PF that culminated in the ouster of Mujuru and her cabal. Speaking at the same event, Masvingo Provincial Affairs Minister and Politburo member Senator Shuvai Mahofa challenged youths to remain united and respect the party leadership.